These diamond cut horse head earrings are mounted on hypo-allergenic surgical steel posts. The diamond cut really makes them sparkle! They measure approximately 3/4" x 3/4"
This item is on Close Out and will be discontinued once our current supply is exhausted. All closeout sales are final. 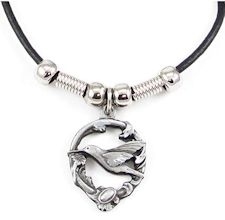 A matching pendant is available in either a small horse head pendant or large horse head pendant. These diamond cut horse earrings can be shipped internationally. This product was added to our catalog on 08/16/2015.